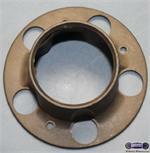 1400a, CENTER CAP FRONT USED,14" 90-'97, FORD, RANGER, Aerostar, CHROME PLASTIC 5 LUG HOLES, 3 SCREW ON TYPE. OPEN TYPE. 5-7/8" DIA. 1400a, CENTER CAP FRONT USED, 14" 90-'97, FORD, RANGER, Aerostar, CHROME PLASTIC 5 LUG HOLES WITH 3 SCREW ON TYPE. OPEN TYPE. 5-7/8" 8 SLOT WITH OUT BLACK IN POCKETS. 1548b, CENTER CAP USED, 89, CADILLAC, SEVILLE, MACHINED SILVER, ETCHED STS, 6 METAL CLIPS SCREWED ON PLATE ON BACK. 6-1/2" DIA. 3026c-R, REAR ONLY CENTER CAP, USED, 92-96, FORD, F150, BRONCO, CHROME FINISH, BLACK BACKGROUND, CLOSED, CHROME LOGO,CAP 3-1/2", 3" HUB & 7" DIA. 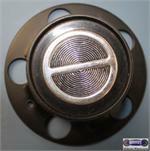 3026c-R, CENTER CAP CHROME BLACK USED, 92-96, FORD, F150, BRONCO, CHROME FINISH, 5 LUG HOLES, SCREW ON TYPE. CLOSED WITH BLACK CHROME FORD LOGO, CAP 3-1/2". 3" HUB & 7" DIA. FOR A 15", RIM REAR ONLY. ALSO FITS 1701R, 3136R. 6038, CENTER CAP USED, 16", 00-02, OLDS, INTRIGUE, SPARKLE SILVER BLACK & GRAY CENTER WITH CHROME LOGO AND 5 PL SCREW ON LUG NUTS, 6-3/4" DIA. 6038, CENTER CAP USED, 16", 00-02, OLDS, INTRIGUE, SPARKLE SILVER BLACK & GRAY CENTER WITH CHROME LOGO AND 5 PLASTIC SCREW ON LUG NUTS, 6-3/4" DIA.